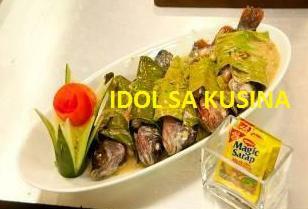 Here's Idol sa Kusina Recipe for Episode 67- Oct. 28- MAGIC GINATAANG TILAPIA. 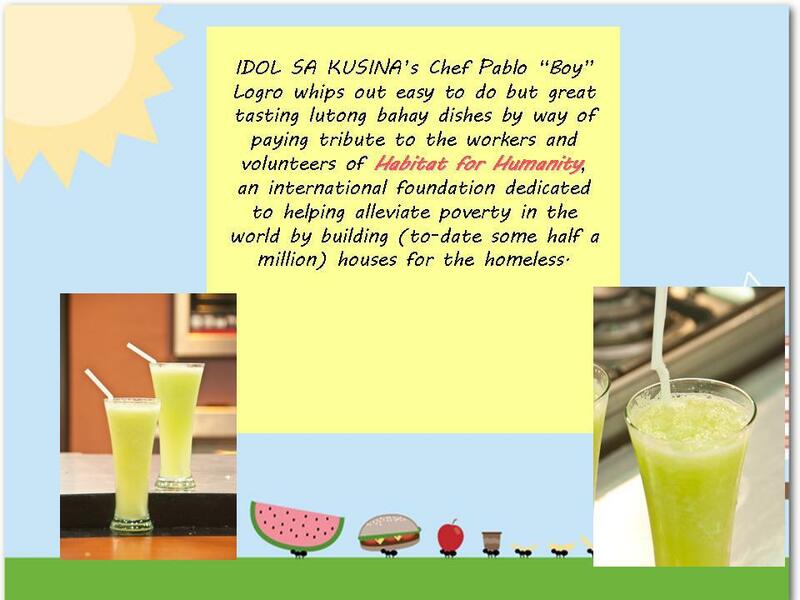 Here's Idol sa Kusina Recipe for Episode 67 / Oct. 28- GRILLED LIYEMPO NI CHEF BOY. 1. Wash liyempo. Drain in a strainer. 2. Marinate liyempo with the mixture of soy sauce, vegetable oil, brown sugar, calamansi juice and little salt and pepper. 3. Sprinkle and rub chicken powder. 4. Grill in charcoal for 10 to 15 minutes on side. 5. Brush with remaining marinade mixture. SPECIALTY: MEAL IN ONE by Ronnie Henares. 1. In a deep pan with butter, cook the spaghetti until al dente. 2. Put a little salt to taste. 3. Strain the noodles to remove the water. 4. Once water is drained, set aside noodles and put it in a baking tray (has to be Pyrex). 5. In another pan, heat oil. 6. Smash the clove of garlic and throw it into the pan to get the flavor. Remove the garlic if it turns brown. 7. Sautee carne norte with tomato and onion. 8. Make sure that the spaghetti is laid flat on the pyrex. Put cooked carne norte on top of the noodles then spread the cream of mushroom on top of it (straight from the can). Then spread cream of corn on top of it (straight from the can). 9. Put grated mozzarella on top to enhance flavour. 10. Put it into the oven and let it cook for 10 minutes. 11. Take it out of the oven when bubbles appear. 12. Put on a serving plate and garnish it with French bread. Sarap Diva is a Philippine Cooking show, talk show created by GMA Network. It will behosted by singer-actress, Regine Velasquez-Alcasid to be aired every Saturday before Eat Bulaga. The show is a cooking-show and talk-show all in one show. The show will have various guests for the host to chat and cook with. It is set to air on GMA Pinoy TV on November 3, 2012, four weeks after its original premiere, on a four-episode delay basis. 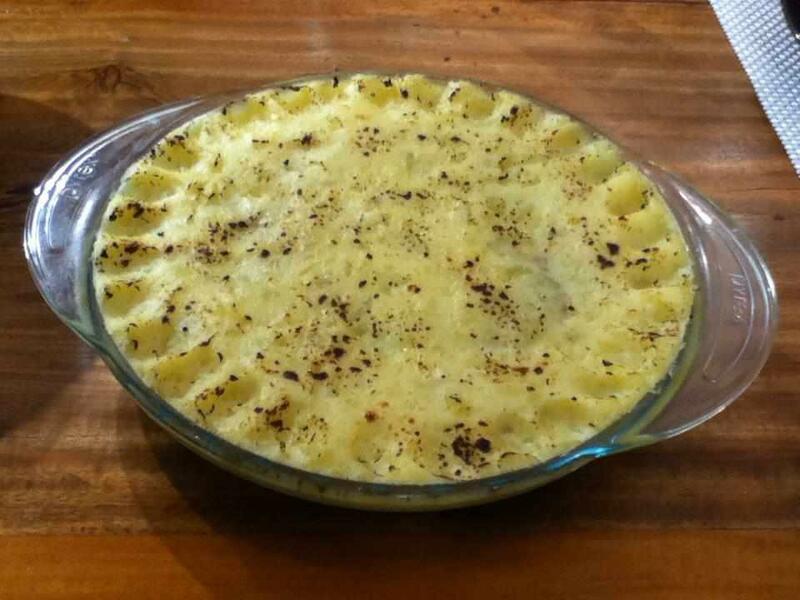 Here's Sarap Diva Recipe- Shepherds Pie for Episode 3 with guests mother and daughter team, Lotlot and Janine Gutierrez. - Saute onion and garlic with olive oil until caramelized. - Add in bell peppers and continue to saute for 3 minutes then add in ground beef. Continue to cook for 5 mins. - Add in soy Sauce and beef stock then simmer for 5 mins. Season with salt and pepper. 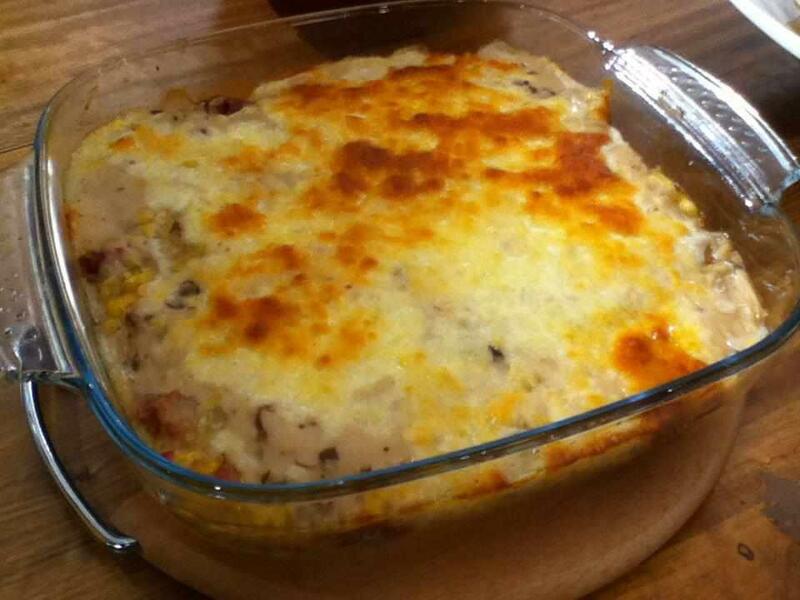 -Place on a oven proof dish then top mashed potato and bake for 20-30 minutes. - Season with nutmeg, salt and pepper. Sarap Diva is a Philippine Cooking show, talk show created by GMA Network. It will be hosted by singer-actress, Regine Velasquez-Alcasid to be aired every Saturday before Eat Bulaga. The show is a cooking-show and talk-show all in one show. The show will have various guests for the host to chat and cook with. It is set to air on GMA Pinoy TV on November 3, 2012, four weeks after its original premiere, on a four-episode delay basis. Watch the New MAGNOLIA COOKIE MONSTER TVC featuring Kapuso teen star, Elmo Magalona. Can't wait to check and taste this Magnolia Cookie Monster. The New Magnolia Cookie Monster Flavors are Choco Hazelnut and Choco Classic. Christmas is just around the corner and Santa Claus is no more smoking! “The stump of a pipe he held tight in his teeth/and the smoke it encircled his head like a wreath” used to be verses in “A Visit from St. Nicholas,” a poem from 1823. 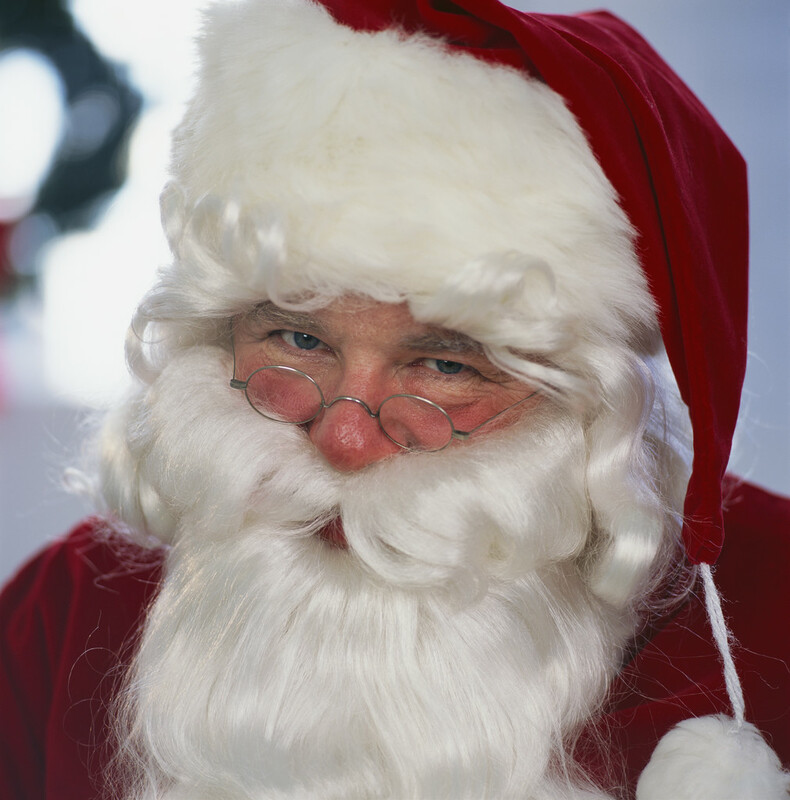 Now, Canadian author Pamela McColl has decided to delete those lines in a new version of the poem to portray a smokeless Santa. According to the New York Post, McColl spent $200,000 for printing 55,500 copies of her book in English, Spanish and French. She also hired an illustrator “to redraw Santa without his pipe and halo of tobacco haze,” reports The Post. 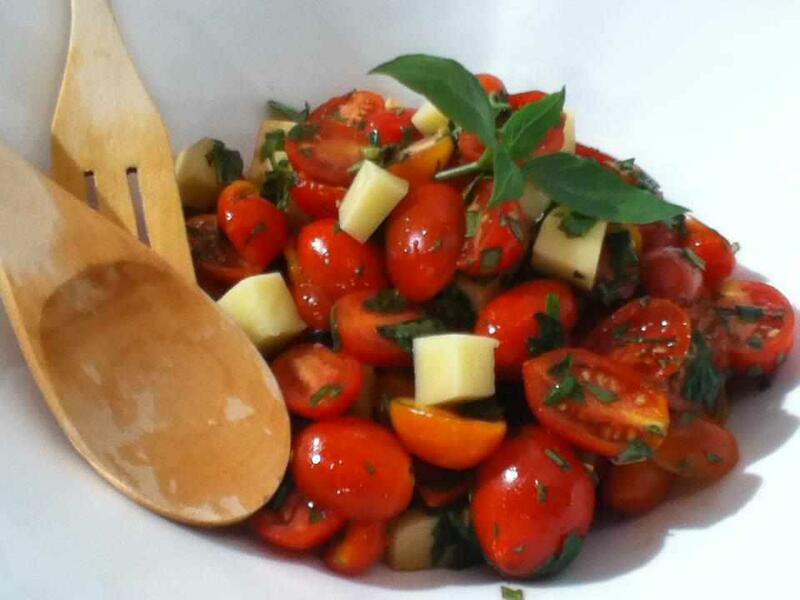 Here's Sarap Diva Recipe- TOMATO MOZZARELLA SALAD. Kusina Master Chef Boy Logro drives his six-wheeler mobile kitchen/TV Studio. Meet Chef Boy Logro's new "baby." It's a six-wheeler truck with a robotic mechanism that reveals a mobile kitchen/studio. Chef Boy Logro: Kusina Master is a 30-minute cooking show produced by GMA Network and hosted by celebrity Chef Pablo "Boy" Logro. It was aired worldwide via GMA Life TV on March 5, 2012 with a 45-day episode delay. Watch Taste Buddies October 27 Episode with Mikael Daez and Betong! Taste Buddies is a cooking show on GMA News TV hosted by Solenn and Isabelle. If Chef Boy Logro is "idol sa Kusina" Isabelle and Solenn are the "Kusina It Girls". Watch Idol sa Kusina October 28 Episode with MMDA Traffic Enforcers at 7:15 on GMA News TV. The gloriously pregnant Precious Lara Quigaman joins husband Marco Alcaraz in visiting the "Idol sa Kusina" kitchen and Chef "boy" logro loses no time inregaling them with dishes best paired off with steamy rice: The traffic enforcers from MMDA, all awardees for excellent service, are honored to be feted with such gastronomic treats. Where to Buy Pippa Middleton's Recipe Book? On Thursday, Octorber 25, Pippa's 416-page glossy hardback will was released in Great Britain. The $40 hardcover book, published by Penguin imprint Michael Joseph, is Middleton’s strike-while-it’s-hot opportunity to “paint a picture of myself” while advising Britons how to celebrate their holidays. She was reportedly paid a $600,000 advance and vowed not to use a ghost writer according to the report from the star.com. Pippa Middleton has stirred up her own recipe book of simple recipes and party ideas. The result? A book that reflects who she is – a young, single, urban woman with a background in party planning. 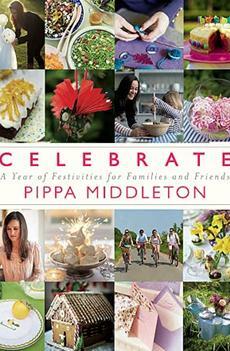 "The book is designed to be a comprehensive guide to home entertaining, based on my experience in my family’s party business Party Pieces, and work for London-based events company Table Talk," writes Pippa in the introduction of "Celebrate." "It is a useful and practical journey into British-themed occasions and I hope it offers welcome inspiration and ideas, most of which needn’t leave you alarmingly out of pocket." Catch McDonalds CBO- Threemendous ! Cheddar. Bacon. Onion. The new CBO can only be described as THREEMENDOUS. Three delicious ingredients- White Cheddar, Hickory Smoked Bacon and Caramelized Onions- make for one gourmet taste. Choose three words to create your own flavorful description. Have a Jolly United Nations Day from Jollibee on October 24, Tuesday. I was browsing the Jollibee facebook to check out what's the latest goodies from them, then I saw Jolly Mascot in different costumes. 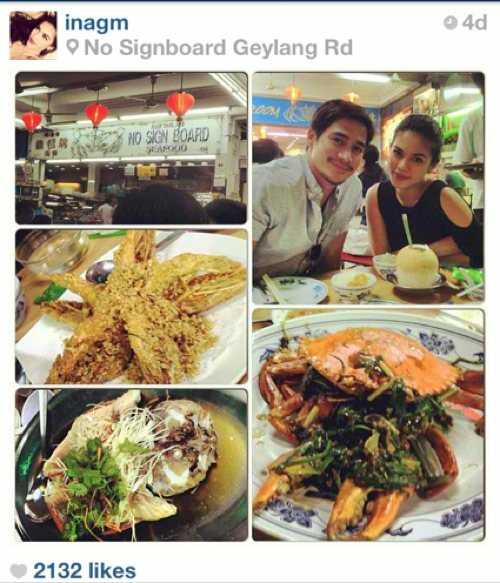 Kapamilya hunk and babe, Piolo Pascual and Shaina Magdayao was seen having a good lunch or dinner in Singapore. 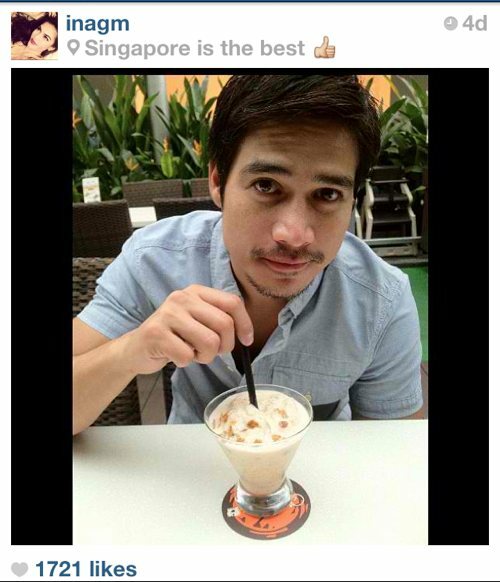 In a photo posted by Shaina Magdayao on her Instagram account last week, Piolo was seen enjoying his halo-halo? and with lots of sea foods. 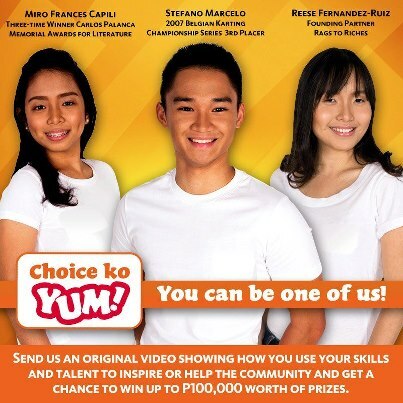 How to audtion and join Kusina Master Cook-Alike Challenge? Kusina Master fans here's your chance to seen on TV and cook side by side with the Kusina Master himself, Chef Boy Logro. 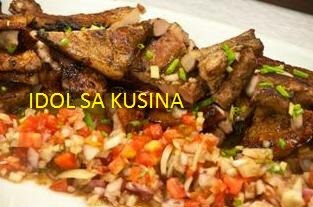 From Kusina Master Facebook page: Kaya mo bang makipagsabayan sa galing sa pagluluto ni Master? Mag-audition na sa Cook-alike challenge! The Choice Ko Yum Promo is extended until November 30, 2012. Approved by DTI-NCR Permit No. 5659 Series of 2012. 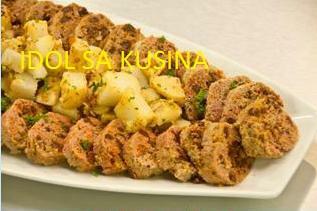 Here's Idol sa Kusina Recipe for Episode 66 / Oct. 21-EMBUTIDO ESPESYAL. 4. Put inside NEW GE GEO NO-FROST refrigerator to cool; then slice. 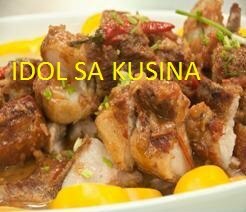 Here's Idol sa Kusina Recipe for Episode 66 / Oct. 21-ASIMAGICAL SINAMPALUKANG ADOBO. 1. In stockpot, combine water, onions, ginger and tomatoes. Bring to a boil for at least 10 minutes to extract flavor. 2. Add gabi and pork adobo. Simmer until gabi is tender. 3. Add the rest of vegetables, followed by MAGGI Sinigang sa Sampalok Mix. Let simmer for 5 minutes more. Remove from heat and add camote tops. Serve hot. 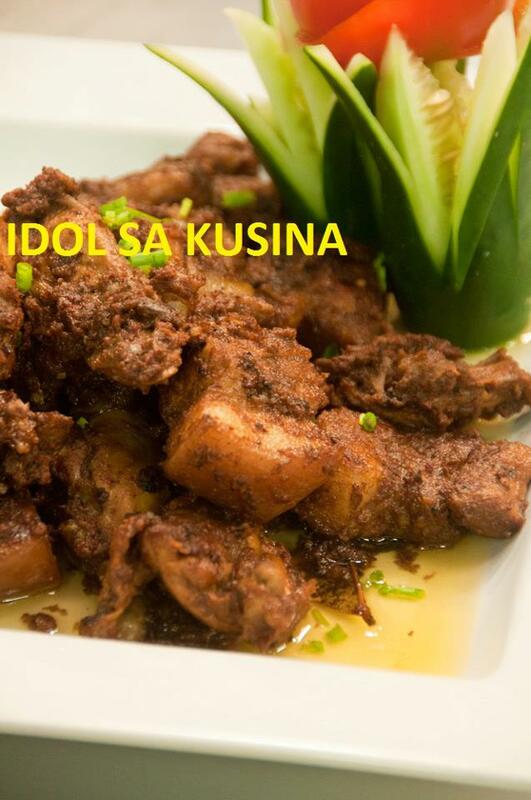 Here's Idol sa Kusina Recipe for Episode 66 / Oct. 21-Creamy Binagoongan Bagnet. 1. In a stock pot, bring water to a boil w/ added salt. Drop pork and boil until tender. Drain and hang dry, then set aside. 2. Submerged pork in hot cooking oil until brown. Drain and dry in paper towel until completely cool. 3. Reheat cooking oil. Submerged pork in very hot cooking oil for while, strain and sprinkle with cold water. Do this process several times until skin pops. Remove from fire and serve. 4. Sauté garlic, onion and tomato. Add shrimp bagoong, stir-fry for few minutes. 5. Add vinegar and siling labuyo, simmer for 5 minutes. Season with sugar, and drop the bagnet, continue cooking in low fire until done. 6. Place on plate garnish with spring onion. 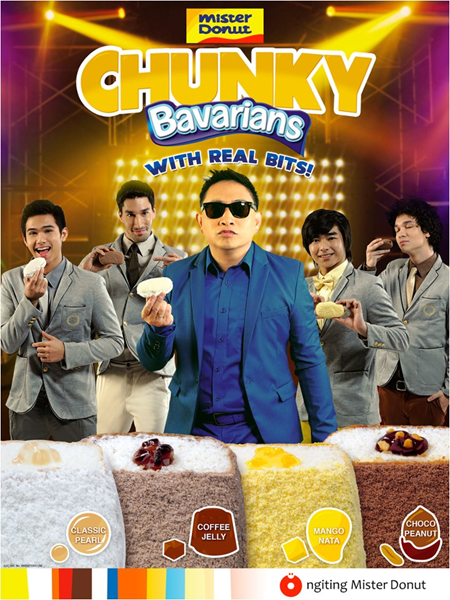 Mister Donut Chunky Bavarians “The Chunks” TVC stars Michael V.
Watch Michael V, Aki Torio and Jaco Benin for Mister Donut Chunky Bavarians “The Chunks” TV Commercial. Mister Donut has a released their latest television commercial that stars its long-time endorser Michael V, as well as Hideaki “Aki” Torio and Jaco Benin. Actor, host and restaurateur, Marvin Agustin is Ernst and Young’s Entrepreneur of the Year Awards! Opening a restaurant one after the other and making it a successful one earned Marvin Agustin the Award. Marvin Agustin starred in more than 30 Filipino movies and TV series, including Marilou Diaz-Abaya's Noon at Ngayon, Chito Rono's Dekada '70, Laurice Guillen's Tanging Yaman, Jose Javier Reyes' Kutob, Marilou Diaz-Abaya's Maging Akin Muli, Joyce Bernal's Hey Babe, Jerry Lopez Sineneng's Labs Ko Si Babes, Jose Javier Reyes' Whattamen, Laurenti Dyogi's Gimik and Olivia Lamasan's Sa Sandaling Kailangan Mo Ako. Marvin admitted that he thought, out of the 14 finalists, only one will be declared winner. This is the reason why Marvin never really expected to win. Marvin was joined by manager and friend Annabelle Regalado-Borja, and business partners Raymund Magdaluyo and Ricky Laudico. Watch Idol sa Kusina October 21 Episode! Chef Pablo "Boy" Logro whips out easy to do but great tasting lutong bahay dishees by way of paying tribute to the workers and volunteers for "Habitat for Humanity", an international foundation dedicated to helping alleviate poverty in the world by building (to-date some half a million) houses for the homeless. Menu for the day are: Creamy Binagoonang Bagnet, Asimagical Sinampalukang Adobo, and Embutido Espesyal. Don't dare to miss this "Yummy" epsiode tonight on GMA News TV. "I ate a lot of cheesecake during those nine months. Also anything sour, Sour Skittles, Sour Patch Kids, Key Lime Pie." said the 33-year-old singer-songwriter mom. An assortment of candy and desserts diet, plus, consistent gym routine and strict vegan diet is Pink's secret to her gorgeous body. Aligue is most forbidden with those high-blood pressure but sometimes you can't help but to eat Aligue. Bawal ito sa mga may highblood o altapresyon! Pero sa tingkad ng kulay nito, sino ba naman ang hindi matutuksong sipsipin at namnamin ang taba ng talangka! Pero dahil modern na ngayon…yung mga sosyalero’t sosyalera na ayaw maghimay…ready to eat na ang mga aligue sa bote! Ang negosyanteng si Gil, pagkakuha ng mga talangka sa palaisdaan, naisipan niyang iburo at ilagay ito sa mga bote para ibenta hindi lamang sa Pilipinas kundi sa China at iba pang mga bansa sa Middle East! Iba’t ibang putahe na rin ang matitikman na may sangkap ng aligue, tulad ng Aligue Mousse at Cream Cheese aligue! Watch Choco Loco in Kapuso mo Jessica Soho, October 20 featuring Chocolate special. Many of our facorite chocolates are Philippine made. Thousands of hectaresin Davao are Cacao plantation. Davao is not only famous for Durian but also for Cacao. Usapang yummy pa rin ang balita mula sa Davao dahil marami sa mga paborito nating imported chocolate ay proudly Philippine made! Alam niyo bang libu-libong ektarya ng lupain doon ay taniman ng cacao?! Hindi lang daw sila kilala sa durian kundi sa iba pang produkto na gawa sa cacao tulad ng tsokolateng Pinoy o ang coco-bar, coco wine at asukal! Wow, cacao! Pero teka…tila pumapakla ang industriyang ito dahil kinakailangan daw nila ng mas maraming lupa para makasabay sa demand locally at abroad! You can watch the video on YouTube since we are not uplaoding any video from TV program, click here to watch! 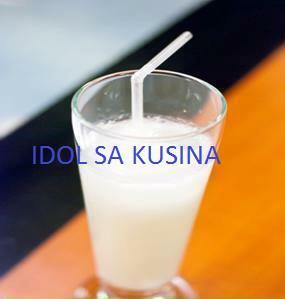 Here's Idol sa Kusina Recipe for Episode 65 / Oct. 14 Italian Lime Soda- use shaker. 1. Mix soda water, lime and condensed milk in a shaker 2. Pour onto glass and add ice. When is Pinoy Masterchef Premiere Episode going to air on ABS-CBN. 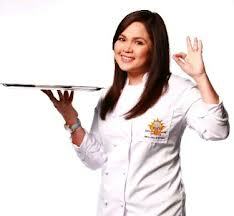 Judy Ann Santos will be back again on hosting the ABS-CBN franchise cooking-reality show after hosting Junior Masterchef last year. Pilot Episode date will be posted here once announced by ABS-CBN. 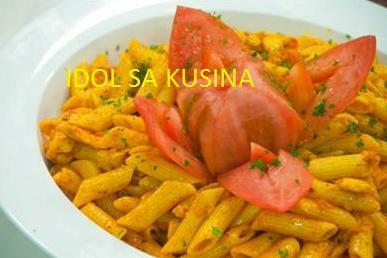 Here's Idol sa Kusina Recipe for Episode 65 / Oct. 14- MAGIC CHILI CHICKEN PASTA. 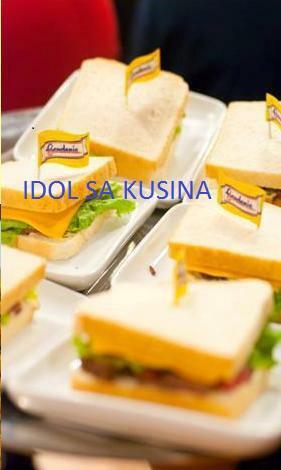 Here's Idol sa Kusina Recipe for Episode 65- Oct. 14- ROAST BEEF SANDWICH. 1. Mix chopped herbed and softened cream cheese. Set aside. 3. To assemble sandwich; layer cream cheese mixture, roast beef, bacon, lettuce, tomato, cheddar slice and chopped fresh spring onions between two slices of Gardenia white bread. 4. Assemble the other sandwiches. Join the Child Health Now Philippine Campaign! CHILD HEALTH NOW is World Vision's first global campaign to end preventable child and maternal deaths. The Philippine Campaign Goal of 2011-2014 intends to engage partners in improving Maternal, Neonatal and Child Health and Nutrition (MNCHN) support. Who should author the HEALTHY CHILDHOOD STORY? Child health now chooses you- your policymakers, implementers, heath workers, mothers. The Child Health Now Campaign invites you to co-author saving a Filipino child's life. Join Child Health Now on facebook, click here! 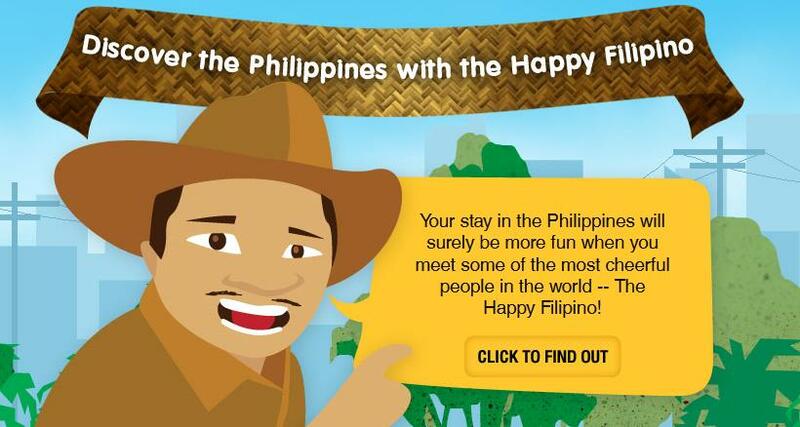 Jollibee launch the Happy Filipino website (www.thehappyfilipino.com) this month, which features fun facts about the Philippines and the travel videos of YouTube sensation Bogart the Explorer titled The Happy Filipino, where he is seen touring a foreign guest around the Philippines and showcasing the Filipinos’ jolly nature. Travel enthusiasts will also get a chance to travel the country via the launch of a video-making contest. “The characteristics of Jollibee that make it a well-loved brand are the same qualities of Filipinos that make traveling to the Philippines more fun: happiness, hospitality and friendliness. What keeps us consistently on top is also what sets the Filipino apart from the rest of the world that beneath the hard work and tenacity is the fun and happy character that Jollibee exemplifies. 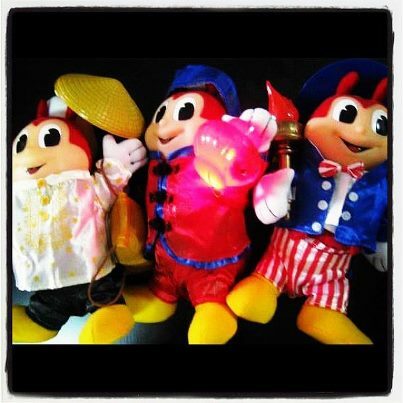 It has always been part of Jollibee’s mission to promote Filipino pride,” Jollibee President Jose Miñana said. 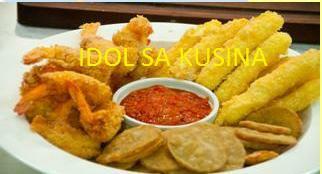 Here's Idol sa Kusina Recipe for Episode 65 / Oct. 14- FINGER FOODS. 1. Butterfly the shrimp along the outside curves. Spread about 1 tsp. wrap a piece around each shrimp and secure with tootpicks. on paper towels. Discard tootpicks before serving. Yield: 20 appetizers. 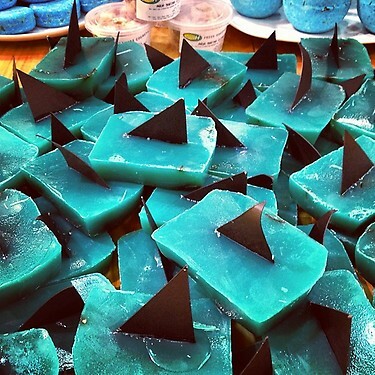 The anti-shark fin soap for shark conservation campaign in the Philippines are now available in LUSH Shangri-La. Image tweeted by Anna Oposa. Rue Bourbon Bar and Restaurant of Jodi Stamaria in East Wood was featured on Kris TV on October 12. Rue Bourbon is a Pub and Restaurant that specializes in New Orleans Cuisine and wild exciting drinks!. The name is French for Bourbon Street. The world famous street in New Orleans where there are countless bars, tattoo parlors, and the likes are alongside each other catering to thousands of tourists looking for hella good time. It is also famous for its street parties and yearly Mardigras parade. It has been a dream of the owners of Rue to bring even just a little bit of that here in the Philippines. Jodi Stamaria is the lead sta of the hit ABS-CBn teleserye "Be Careful With My Heart" as Maya Del Rosa opposite Richard Yap. Richard Yap is a Filipino-Chinese actor and businessman, best known for his role as "Papa Chen" in My Binondo Girl and in the 2012 Philippine television drama Be Careful With My Heart as "Sir Chief". The best episodes of Kris TV we believe is on every Friday since the show featured houses and/or business ventures of local celebrities. Rachelle Ann Go cooks "Gising Gising" recipe in "MARS"
Fierce Songstress, Rachelle Ann Go cooks a dish called "Gising Gising" in the GMA News TV talk show "MARS" hosted by celebrity moms Suzi Abrera and Camille Pratts. The episode airs tomorrow, October 12- 6pm, on GMA News TV. Also in the episode are radio DJ "Papa Jack" and surprise guest Dingdong Dantes. MARS airs from Monday to Friday, 6:00pm on GMA News TV Channel 11. 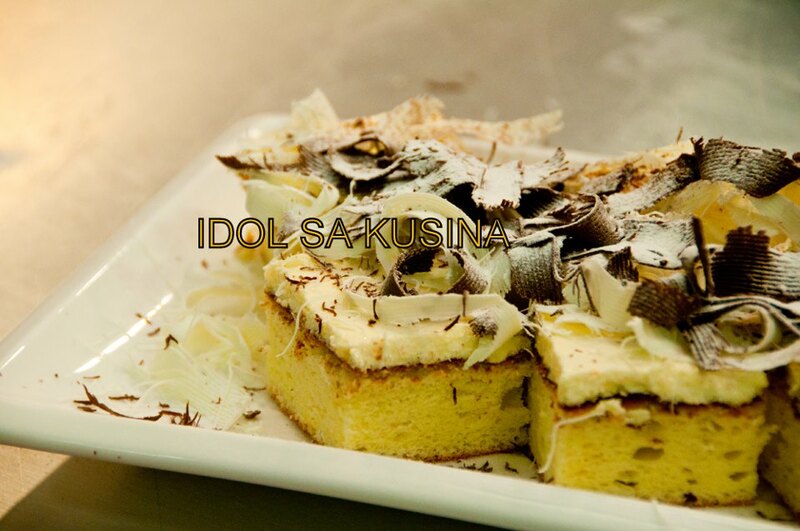 Here's Idol sa Kusina Recipe for Episode 63 / Sept.30- ALL PURPOSE SPONGE DESSERT. Sift flour set aside, beat eggyolk & sugar medium speed, add water slowly follow salt & vanilla continue mixing until double volume then add flour, set aside. Beat eggwhite in high speed w/cream of tartar, add sugar slowly while mixing, until stiff. Then fold to the flour mixture, pour in roll pan 10x2 bake at least 12 to 15 minutes. 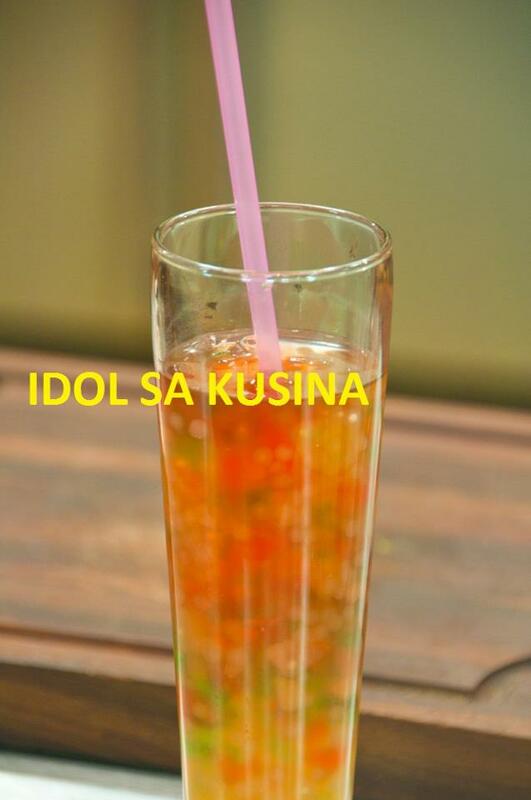 Here's Idol sa Kusina Recipe for Episode 64- MAGICAL CAMARON REBUSADO. 1. Prepare batter by whisking flour, baking powder, egg and iced water to make pancake batter consistency. 2. 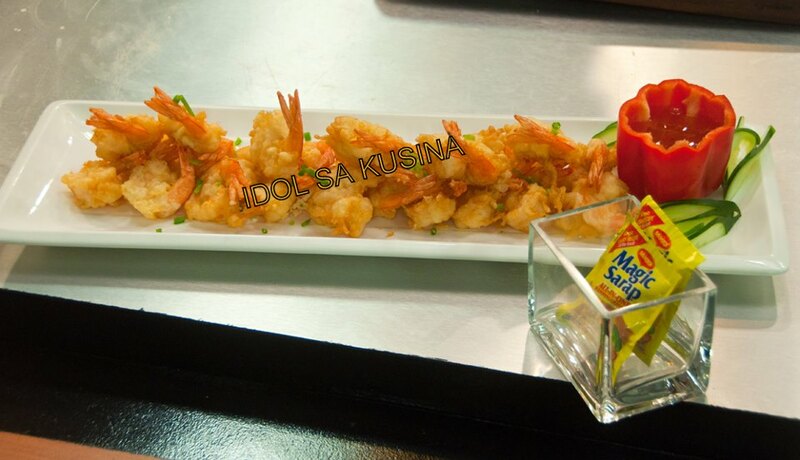 Season shrimp or prawns with MAGGI MAGIC SARAP and lightly coat with flour and dip in batter while holding the tail end. 3. Carefully drop in a preheated oil and fry over medium high heat for 2minutes or until golden brown. 4. Drain excess oil and serve with sweet chili sauce. 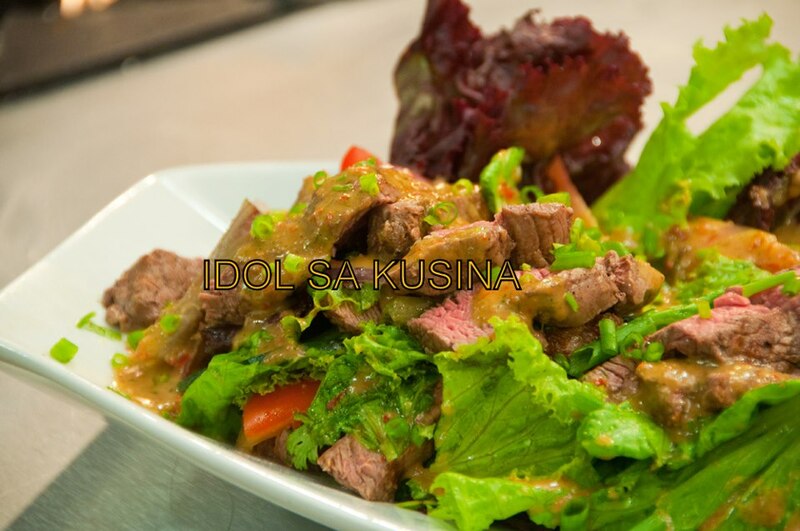 Here's Idol sa Kusina Recipe for Oct. 7- Episode 64- ORGANIC VEGGIE SALAD WITH GRILLED BEEF. 2. Arrange the lettuce leaves on a large serving dish and spread the marinate meat on top of the leaves. Arrange the spring onions, cucumber slices and tomato wedges on the lettuce leaves. Garnish with the coriander and mint leaves and serve. Watch Taste Buddies on GMA hosted by Solenn and Isabelle. If Chef Boy Logro is "idol sa Kusina" Isabelle and Solenn are the "Kusina It Girls". Cooking shows seems to be the trending shows locally with Chef Boy Logro having two shows, Kusina Master on GMA and Idol sa Kusina on GMA News TV, while Regine Velasquez has her own cooking show "Sarap Diva" every Saturday on GMA. Solenn Heussaff and Isabelle Daza personally invite you to watch out for the premiere of their new show 'Taste Buddies' this coming October 27! 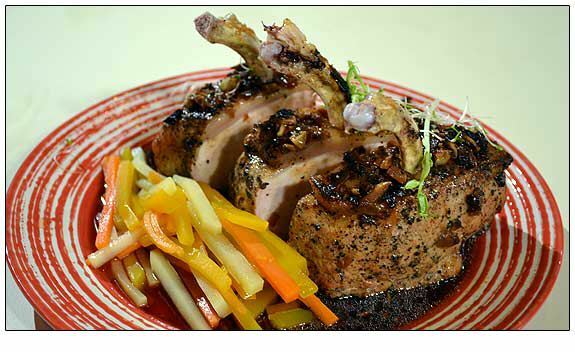 Here's Sarap Diva Recipe- Braised Porkloin Rack. To cover, use aluminum foil 8' x 24"
Catch New Selecta Cornetto Black & White! this is one ice cream brand you can't resist, two epic flavors in one. Milk chocolate & white chocolate ice cream in one cone. New Selecta Cornetto Black & White. 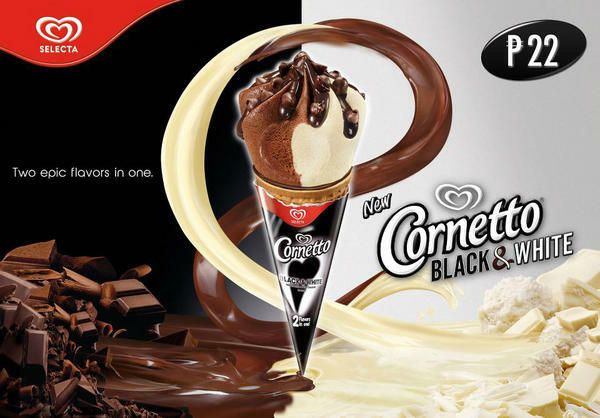 The New Selecta Cornetto Black & White is now available only for P22. Watch Hollywood actor Zac Efron as he got the taste of Filipino delicacy, "Balut". Zac Efron earlier guested on "The Ellen DeGeneres Show" and talked about his most recent trip in the Philippines as was one of the best trip of his life. Aside from the warm welcome he received from his Pinoy fans, his wonderful experiencing having been flew by a chopper to the top of an active volcano and had lunch on top of it, the "Paperboy" star now talks about how he ate balut (a Pinoy delicacy made of fertilized duck embryo, boiled and eaten in the shell) during his recent guesting on Jimmy Kimmel Live to promote his latest movie with Nicole Kidman. The hottest Filipino entertainment and party venue in Dubai, is packed every night especially on Thursdays and Fridays. Enjoy the best of modern Filipino, American and international music by our resident RESOUND BAND and most of all the great Filipino Foods. KITAKITS at Marcopolo continuously supports most of the major Filipino concerts and events in the UAE. They are a consistent hospitality sponsor of the major Filipino events such as Bisrock and Rakrakan concerts, which has made it to the Guinness Book of World Records as the most successful and biggest Filipino rock concert overseas. Here are some photos we took on Kitakits during our visit last October 5, 2012. All menus are good but we like the "lechon kawali" the most. We enjoy the ambiance and the stand-up comedian who perform during that day.